Looking for a great way to wrap up spring break this year? 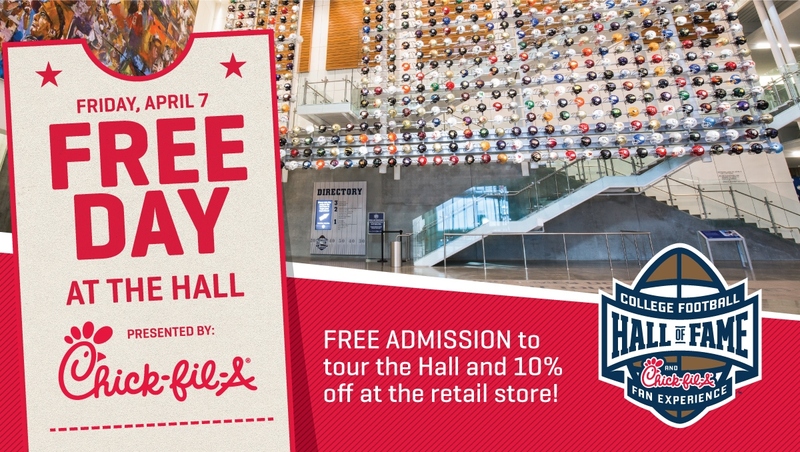 On Friday, April 7, Chick-fil-A is offering all fans a free pass into the College Football Hall of Fame from 10:00 AM – 5:00 PM. Enjoy the Hall’s 45-yard indoor football field, interactive exhibits and more free of charge! Then, don’t forget to stop by the retail store on your way out for 10% off full-priced items!